The entrance of Mike Espy, former secretary of agriculture under President Bill Clinton, into the special election to serve the remainder of resigning senator Thad Cochran's (R.) term in Mississippi has reignited Democrats' hopes of snatching another Senate seat in the deep South. Espy's decision to enter the Mississippi Senate race adds a new dynamic to a campaign that already promised to be intense. Cochran, who has held the seat since 1978, announced last month that he would resign on April 1, citing poor health. Mississippi governor Phil Bryant (R.) appointed Cindy Hyde-Smith (R.), the state's agriculture and commerce commissioner, to fill the vacant seat until a special election in November determines who will serve the remainder of Cochran's term, which is up in 2020. The election pits members of all political parties against each other on one ballot, a format that Democrats hope will help their candidate by splitting the Republican vote. Hyde-Smith has failed to clear the field of GOP challengers; Mississippi state senator Chris McDaniel (R.), Cochran's 2014 primary challenger, is mounting another campaign for the seat. Polling released by Espy's campaign shows Espy leading both Hyde-Smith and McDaniel with 34 percent of the vote. Democrats hope Espy can follow Alabama Democrat Doug Jones's upset Senate election win over Roy Moore last year in a deep-red state. It is unclear, however, whether Espy's prominent but troubled history in politics will be a net positive or negative for him in the race. In 1986, Espy became the first African American elected to Congress from the state since Reconstruction. 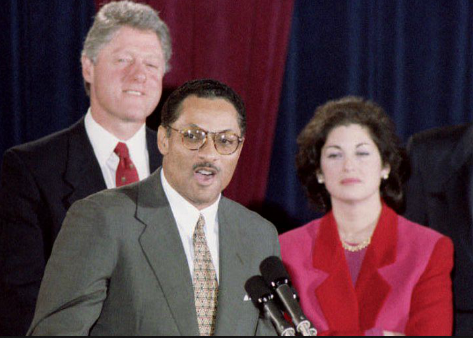 He served in the House of Representatives from 1987 to 1993, until Clinton appointed him to serve as the youngest and first African-American secretary of agriculture. Espy's tenure leading the Department of Agriculture (USDA) was cut short in 1994, when he resigned amid federal investigations into allegations that he improperly accepted gifts and favors—such as travel accommodations and sports tickets—while in office and tried to cover it up. Questions surrounding Espy about financial impropriety and ethical lapses led then-attorney general Janet Reno to appoint an independent counsel to investigate. The independent counsel found several cases in which Espy misused USDA resources. A prominent case concerned the department leasing a Jeep Cherokee, whose sole purpose was to be kept at an airport in Jackson, Miss., so it could be available for the secretary's frequent trips home. Espy admitted he occasionally used the vehicle for personal reasons rather than official business, and reimbursed the department $6,200 to cover the costs. The Clinton White House was particularly troubled by revelations that a nonprofit run by Tyson Foods, Inc., granted a $1,200 scholarship to Espy's then-girlfriend. The scholarship came at a time when the USDA was weighing action on issues affecting Tyson's business, including the company's safety procedures when packaging poultry for mass consumption. When the scholarship became public, Espy resigned, saying he wanted to "overcome the challenge to my good name." At the time, various media outlets reported that the White House pushed him out. Leon Panetta, Clinton's then-chief of staff, confirmed to the Washington Post that Espy's resignation was a "mutually agreed" upon conclusion. In a statement announcing the departure, Clinton said he was bothered by the incidents surrounding Espy and had come to the conclusion that resignation was the right course of action. "Although Secretary Espy has said he has done nothing wrong, I am troubled by the appearance of some of these incidents and believe his decision to leave is appropriate," Clinton said. In 1997, nearly three years after resigning, Espy was indicted in federal court on 30 criminal charges associated with accepting improper gifts. The former secretary was eventually acquitted of all charges, although a jury did convict his chief of staff, Ronald Blackley, of lying to federal authorities about receiving $22,000 from agribusiness seeking subsidies from the USDA. The investigation also resulted in the convictions of Tyson Foods, Inc. and Sun-Diamond Growers of California for making illegal gifts to Espy. Tyson's conviction resulted in it paying a $4 million criminal fine and $2 million in investigative costs. Sun-Diamond's conviction, which resulted in a penalty totaling $1.5 million, was overturned on appeal. The jury in Espy's trial found that, while there was evidence to show he accepted gifts from groups regulated by his agency, there was little proof of criminal intent or evidence showing preferential treatment for the companies. When formally announcing his candidacy on Friday, Espy touched on his controversial past, saying it proved his resilience as a fighter and someone who would stand up against false defamations. "I know what it takes to have to fight for a good name—because I had to fight for mine. When false accusations are leveled I believe you have no choice but to fight," Espy said. "It took four long years before the record was finally corrected—but it was, and in the end I emerged triumphant." The former secretary said the ordeal served to make him "stronger, wiser," humbler, and more "faithful." It also renewed his appreciation in Mississippi, a state where "people who know you best would give you the benefit of the doubt." Espy even drew a comparison between his own legal battles and the unfair caricature painting of Mississippi as a backward state. He promised to defend his state's reputation as stringently as he defended his own. "As a state, often we are defamed, dismissed, and disregarded. Many of these criticisms are cynical, petty, and unfounded. But some criticisms ring true," Espy said. "Where we can do better, I will offer mature leadership—but where hostility is without merit, I will vigorously defend the communities and the causes of our state." Neither the Espy campaign nor the Mississippi Democratic Party responded to requests for comment. Lucien Smith, the chairman of the Mississippi Republican Party, told the Washington Free Beacon that Espy's past connections to the Clintons and ethical controversies would be a difficult sell in a state that President Donald Trump won by about 18 points in 2016. "Mississippians won't be sending Chuck Schumer another vote no matter who runs," Smith said, referring to the Senate minority leader. "The idea that Mississippians would vote for a Clinton crony, who narrowly avoided jail for taking bribes, is pure fantasy." Jordan Russell, campaign manager for Hyde-Smith, told the Free Beacon that, while Mississippi is a conservative state, having the right candidate will be essential to preventing Espy from being sent to the Senate. "Mike Espy is a liberal Democrat and Mississippi is not typically in the business of electing liberal Democrats to the United States Senate," Russell said. "Mississippi needs to come together and prevent another situation like the one we saw play out in Alabama with Roy Moore. All conservatives should unite behind Cindy Hyde-Smith to ensure Mississippi does not send a liberal to Washington, D.C."
If no candidate is able to garner 50 percent of the vote, a run-off between the top two vote-getters will be held in December. This entry was posted in Politics and tagged 2018 Election, Bill Clinton, Corruption, Ethics, Mike Espy, Mississippi, Senate, USDA. Bookmark the permalink.